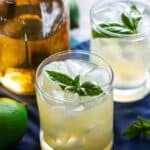 This Basil Vodka Gimlet takes a classic cocktail (usually made with gin) and turns it on its head. 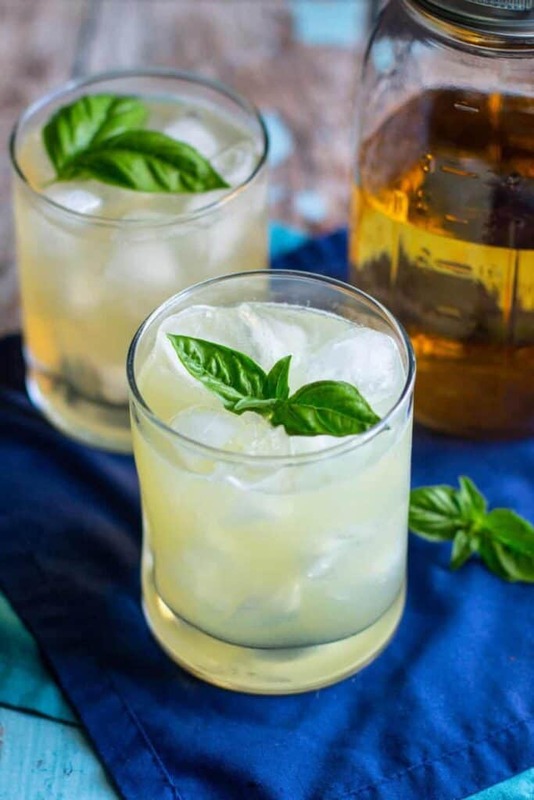 Basil vodka is flavorful and refreshing, and makes this drink perfect for summertime sipping. Remember the Basil Infused Vodka that I shared with you not that long ago? This cocktail makes excellent use of it! Simply combine some of that vodka, a bit of simple syrup (preferably homemade–it’s so easy! ), and fresh lime juice in a cocktail shaker with ice, shake until very cold, and strain into a rocks glass with ice. Make sure to garnish with some more fresh basil, too! Not only does it look pretty, but the extra basil aroma when you take a sip is really nice. 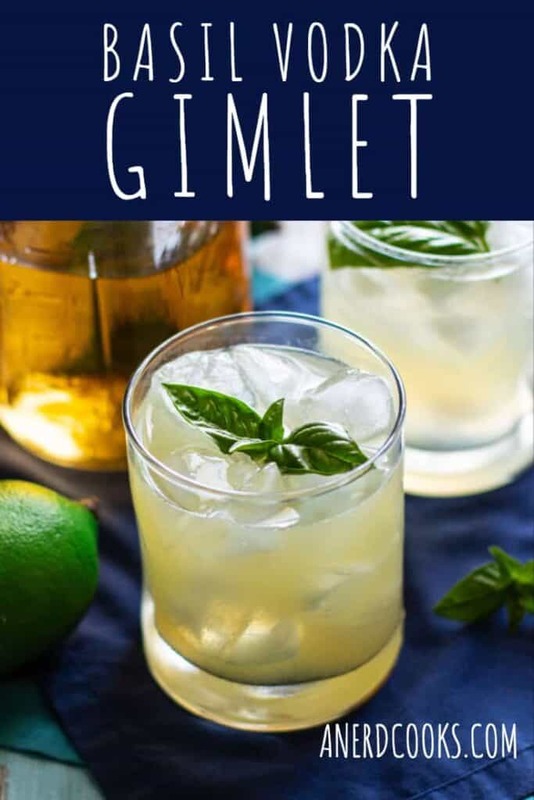 Make sure to take advantage of the abundance of fresh herbs during the warmer months by making one of these gimlets. 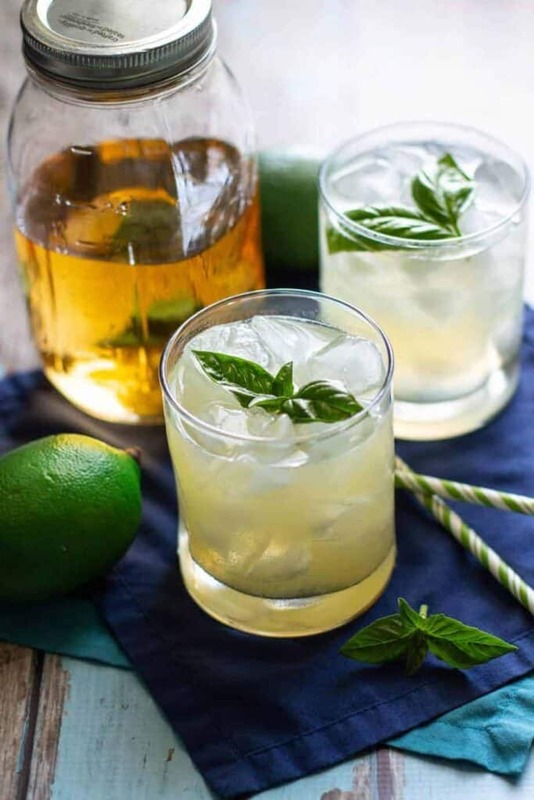 These drinks will keep you satisfied (and a little tipsy) all summer long! 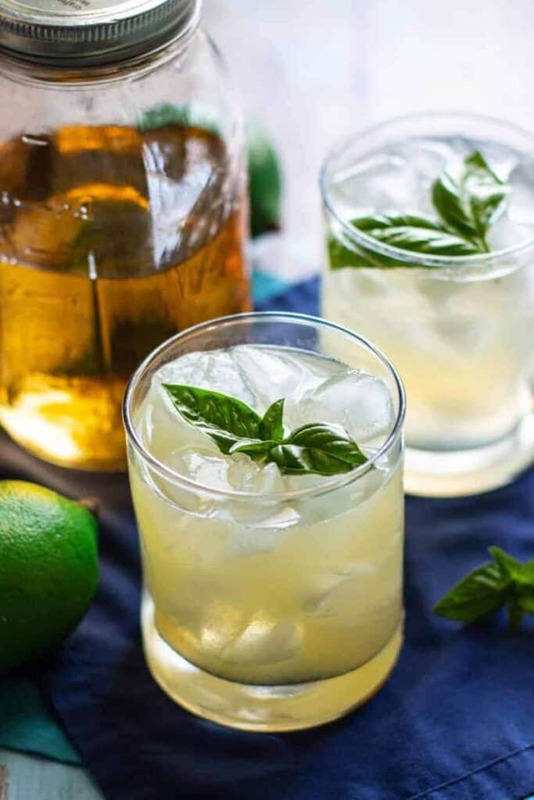 Add the basil-infused vodka, simple syrup, and fresh lime juice to a cocktail shaker filled halfway with ice. Shake until very cold and strain into a rocks glass with ice. I LOVE herbs in cocktails and this looks incredible. We are full swing with a heatwave in London right now and I sooo need to make this over the weekend. Thanks for sharing!